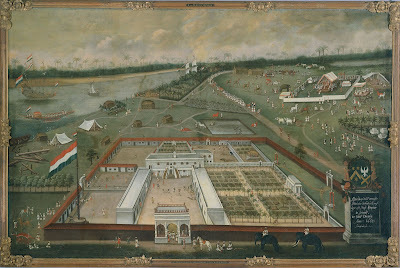 Here the painter Hendrik van Schuylenburgh provides a detailed picture of life at the VOC - the Dutch East India Company - headquarters in Bengal near the town of Hougly on the river Ganges in India. The painting was probably made from observation. 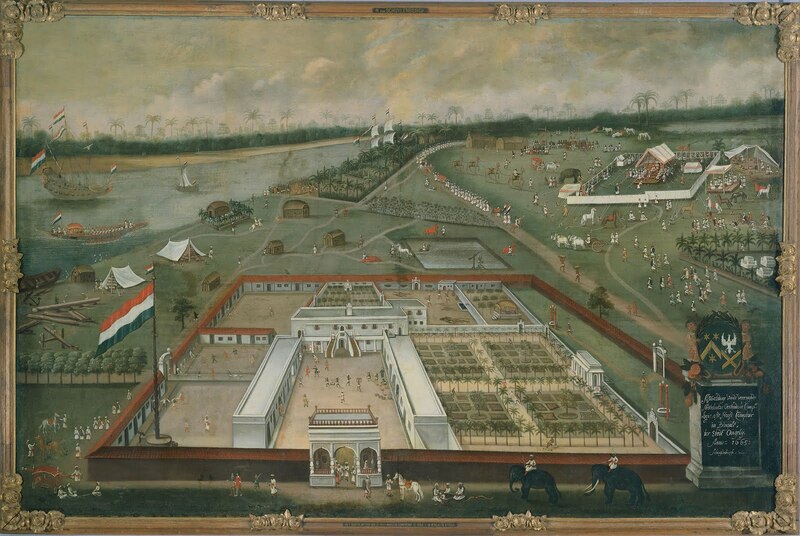 It was commissioned by Pieter Sterthemius, the first director of the base.